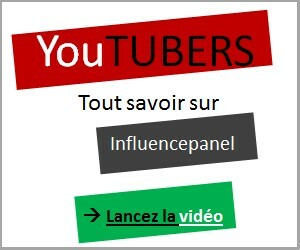 Emma Inthekitchen : Statistiques Youtube channel/UCPvljaGquvogIHVBvSuyLIQ, Facebook et Twitter. Are you channel/UCPvljaGquvogIHVBvSuyLIQ? If you want to customize your description, change your categories and/or allow advertisers to contact you, click here. Not categorized correctly? : Let us know! The Influence Rank (or iRank) is a tool based on a logarithmic function that ranks influencers’ impact on social networks depending on their amount of Subscribers (YouTube), Likers (Facebook) and Followers (Twitter). Categorized by language, they are ranked on a scale of 1 to 10, 10 representing the highest influence level. The iRank is updated weekly. To help us classify influencers, click here. Can’t find an influencer? Even using the search engine at the top of the page? Contact us and we will add them for you.